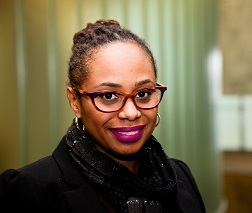 R. Cassandra Lord is an Assistant Professor Sexuality Studies in The Department of Historical Studies, Women and Gender Studies Program (UTM), with a graduate appointment in the Women and Gender Studies Institute (St. George). Dr. Lord’s current book manuscript “Performing Queer Diasporas: Friendships, Proximities and Intimacies in Pride Parades” examines the public performance of “Pelau MasQUEERade,” a Caribbean queer diasporic group that participates in the annual Toronto Pride Parade. The group insists on new ways to belong by reaching out transnationally to the Caribbean and other diasporic sites as a way to envision how kinship, forged out of queer diasporic practices of affiliation, can be used as a model to build community from various vantage points. black queer diaspora (Canada/US and the Caribbean), black/feminist theory and methods, queer studies, transnational feminism, critical geography of race, space and place and critical race studies.